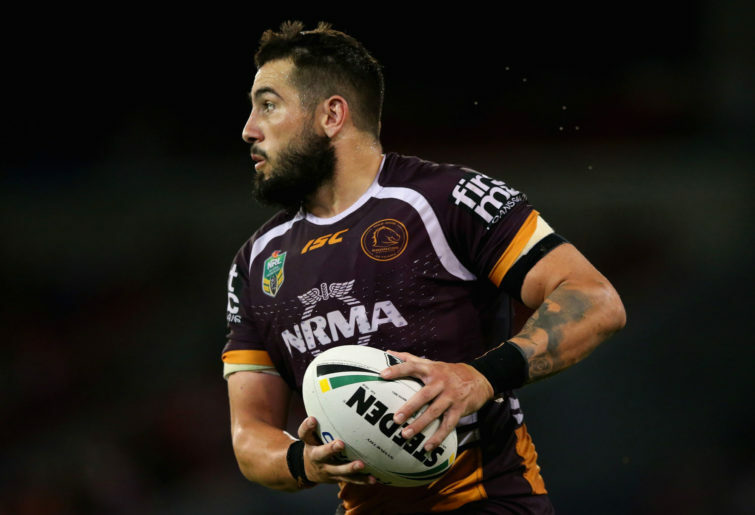 Jack Bird was Wayne Bennett’s prize signing for 2018, but after a dismal first season in Brisbane – thanks in large part to shoulder and sternum injuries – his future at the Broncos is in doubt. Early last season, Bird appeared to be lacking fitness and carrying excess weight, and his performances were not well received. Ultimately, he played at centre, halfback and five-eighth but only managed a total of eight games without a try, line break or try assist. Bird is now under the watchful eye of a new coach Anthony Seibold, who has him training at left centre. Rumoured to be on big money, Broncos fans will put plenty of pressure on Bird. He needs to prove he’s worth the pay packet. As a five-eighth alongside Nathan Cleary at Penrith, Bryce Cartwright produced his best season in 2016, scoring eight tries, with ten line breaks and 77 offloads. After playing 25 games that year, he played only 14 games in 2017, and moved to the Titans on a big-money deal. It was also seen as a new start, away from the off-field issues that had plagued him. But in 2018, Cartwright only played 14 games, with no tries, no line breaks and only 14 offloads, seeing him dropped to the Queensland Cup. However, coach Garth Brennan has been singing Cartwright’s preseason efforts this year, so let’s hope that on-field performances reflect that.